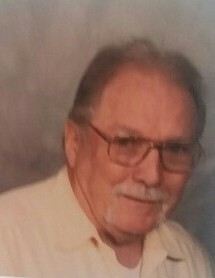 Charles Dean Crace, 75 of Cutler, Ohio died Thursday October 18, 2018 in the Marietta Memorial Hospital. Born November 6, 1942 in Delaware, Ohio to Emmitt and Peachie (Borders) Crace. Charles worked at Superior for 2 years, then retired as a machinist from Schuler Inc. after 20 years. He then worked at Westinghouse for 11 years, when he got his Barber's License, and worked for Ford in Michigan for 2 years. He married Marilyn (Comeans) Crace July 24, 1961, and joined the U.S. Army in September 1961. He proudly served for 6 years, earning many medals, trophies and honors, competing in rifle tournaments. Before leaving the Army, Charles was made Drill Sergeant during Vietnam. He was an avid hunter and had great friends he enjoyed hunting with. Early years, dirt biking was one of his hobbies, and taking his sons hunting. Survived by wife Marilyn; sons Jerry Dean (Sonhui) and Keith Crace and daughter Sherry Rene (Dan) Bishop; 4 grandchildren and 7 great grandchildren. Brothers James, Danny and Rick (Jane) Crace. Preceded by parents, brother Carroll, nephews Kevin and Donnie Crace and daughter in law Misty Crace. Friends may call at the RADER-LYNCH & DODDS FUNERAL HOME & CREMATION SERVICE, London, Ohio on Tuesday from 11:00 AM until time of service at 1:00 PM, with Pastor Tim Lindsey officiating. Burial in Oak Grove Cemetery, Georgesville. Military honors will be provided, at the funeral home before the service, by the American Legion Post #105 Honor Guard. Condolences to www.rldfh.com.